Dead batteries are never convenient. Whether you're trying to get to work on time, or are stuck in the grocery store parking lot, it sometimes seems like your battery chooses the worst times to give out. That's why we sell name-brand and Nissan-certified batteries here at John Roberts Nissan. We want to ensure that all of our customers get the most out of their driving experience, and that means helping you pick out a high-quality battery for your Nissan. When temperatures drop during the winter months, your engine needs a little more oomph to get started. An ordinary, run-of-the-mill replacement battery often won't give you the power necessary to do this, while a name-brand battery typically will. Today's vehicles sometimes drain batteries even when they're turned off, due to features like security systems. Even though these systems don't cause excessive drain, they can still wear out an already weak battery when left parked for a long time. A name-brand battery usually handles drain better than a generic one. 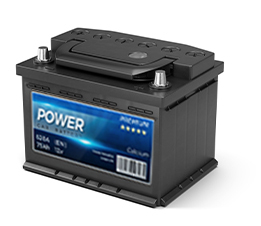 Since name-brand batteries often come with warranties, you can expect them to get you from point A to point B more reliably than a generic battery. You'll deal with fewer late nights stuck at the gas station and more time out on the road, not even thinking about your battery. If you’d like to purchase a Nissan-certified battery in Manchester, TN, drop by John Roberts Nissan at 2747 Hillsboro Blvd Manchester, TN 37355 or schedule your service online. We look forward to serving our customers from Murfreesboro, Shelbyville and Middle Tennessee!